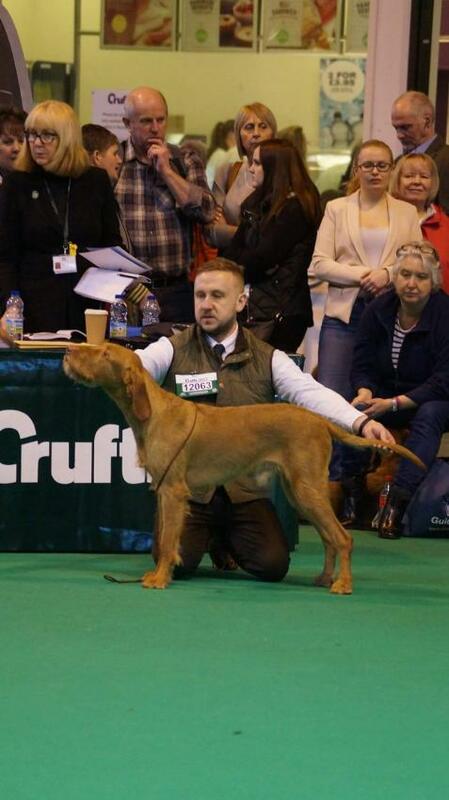 Falling within the 'gundog' branch of canines, the Hungarian Vizsla, meaning 'pointer' derives from the central regions of Hungary where it was traditionally partnered with falcons in hunting. 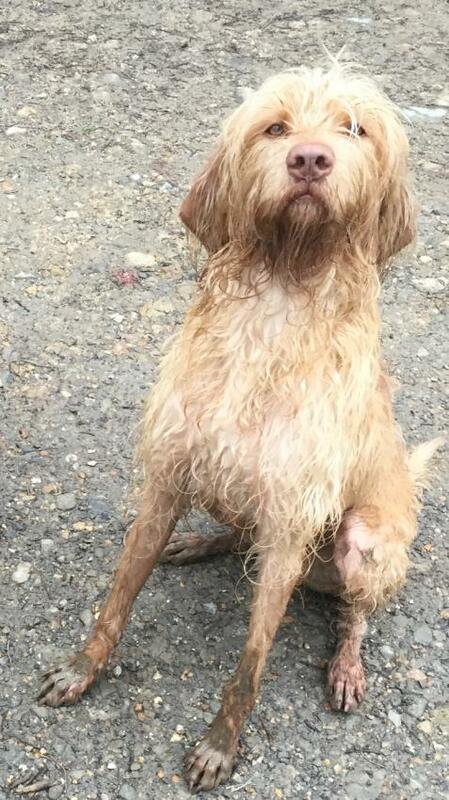 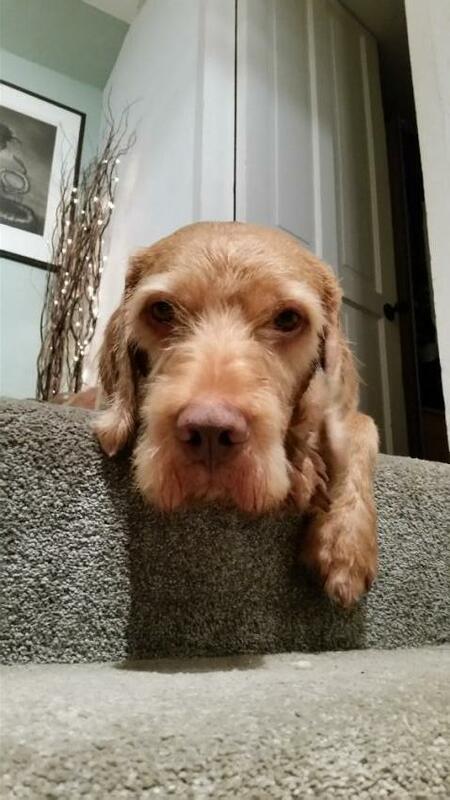 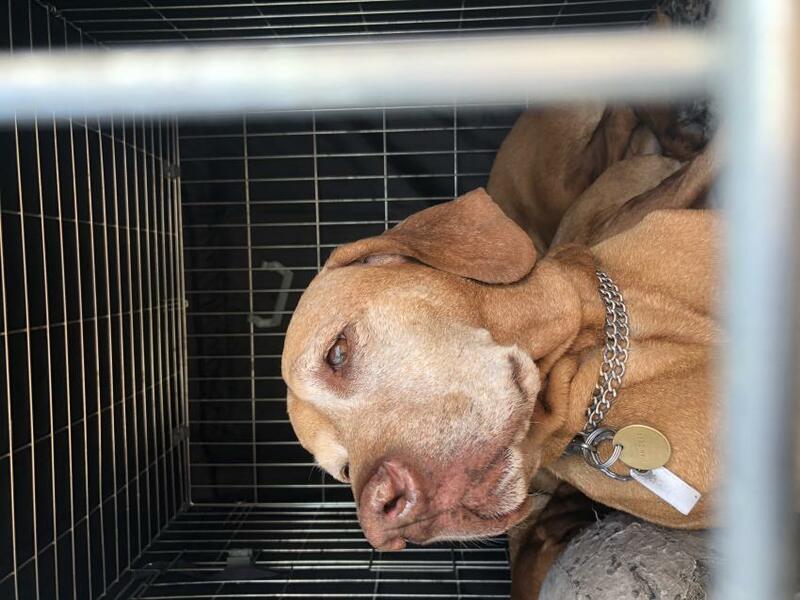 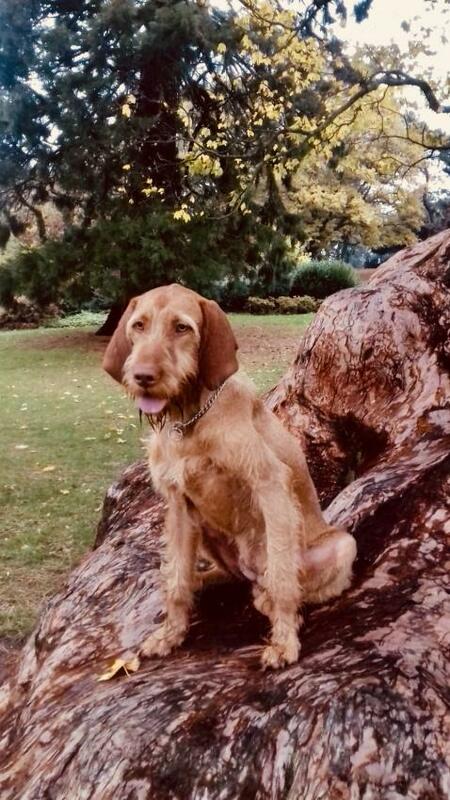 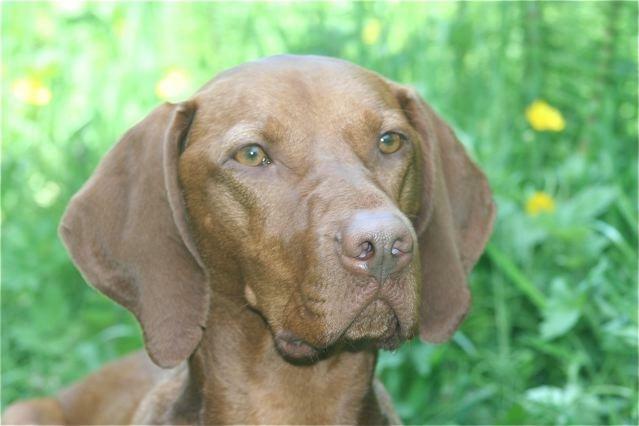 This relatively rare breed is referenced as early as the 10th century and is believed to have arisen from the Hungarian Magyars, who bred the Vizsla for the purposes of hunting, pointing and retrieving. 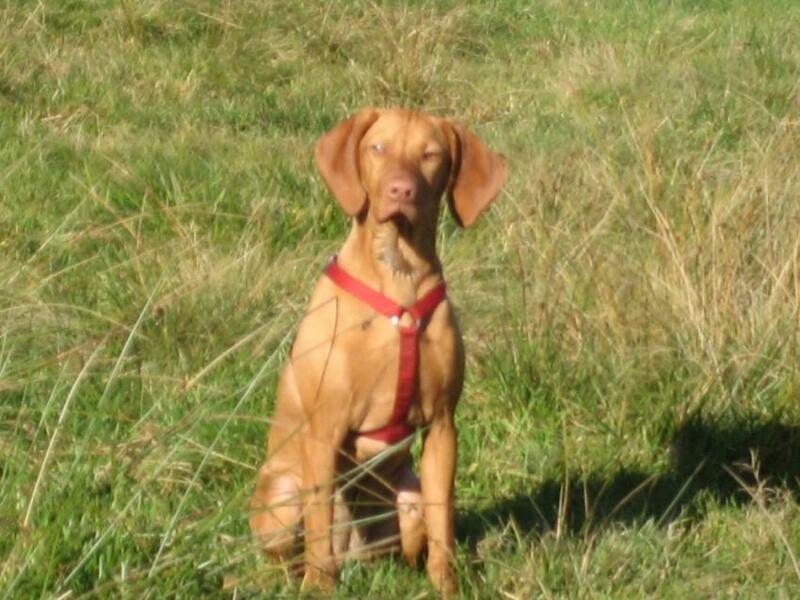 In early history, the Vizsla became popular with Hungary's elite barons who appreciated the breed's unique capabilities, and then with the outbreak of WWI, was widely utilised as a dependable messenger dog, tracking back and forth over dangerous terrain in order to reach its recipient. 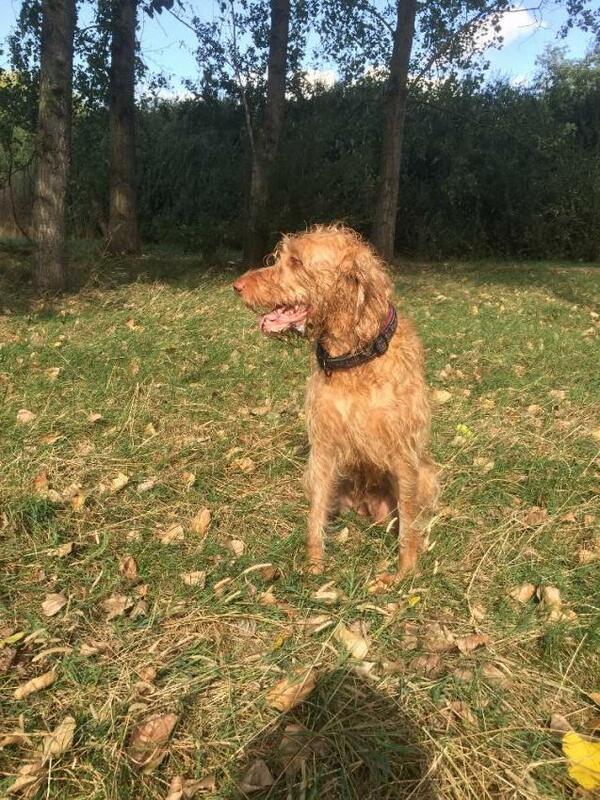 Hungary's National Dog was officially recognised by the American Kennel Club in 1960. 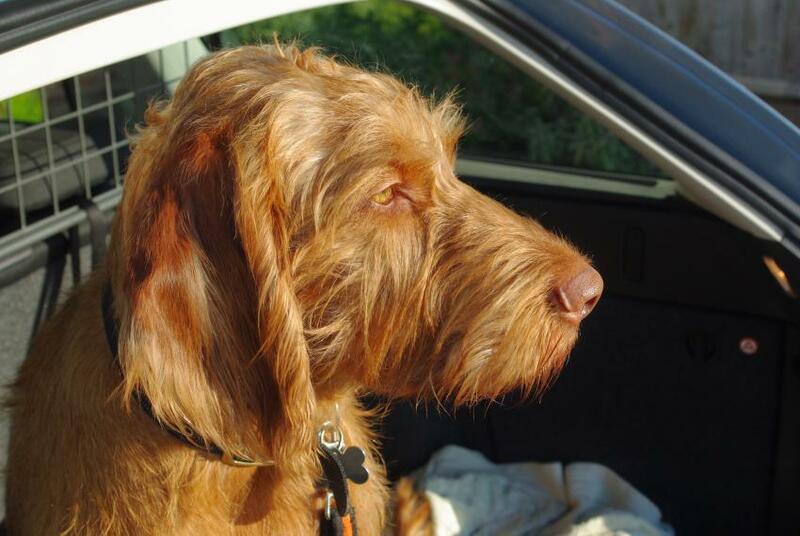 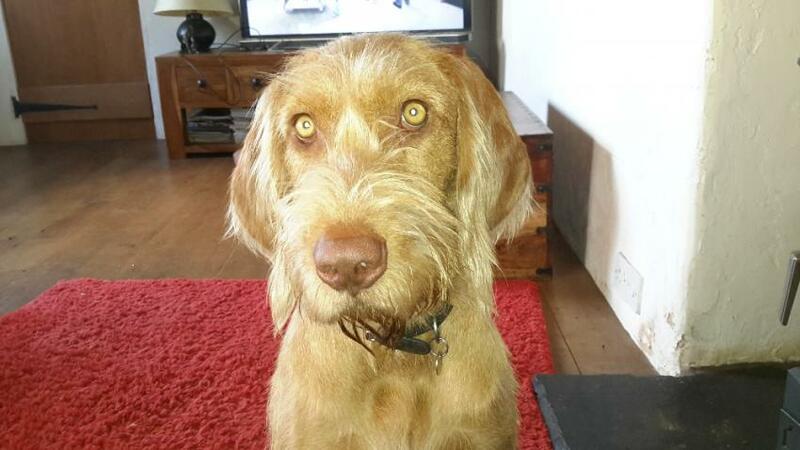 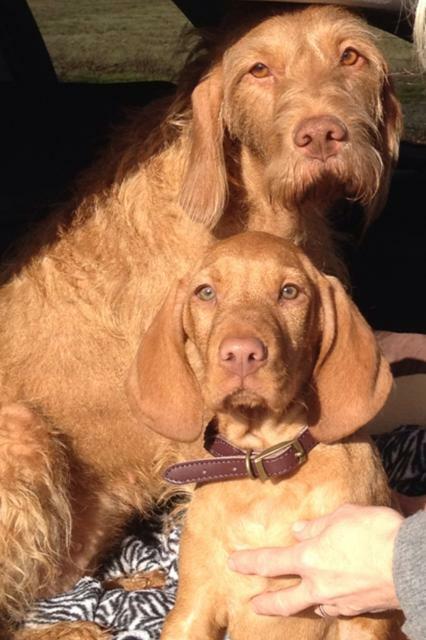 The Vizsla has two cousins - the Wire-Haired Vizsla and the extremely rare Long-Haired Vizsla, which is not registered anywhere in the world. 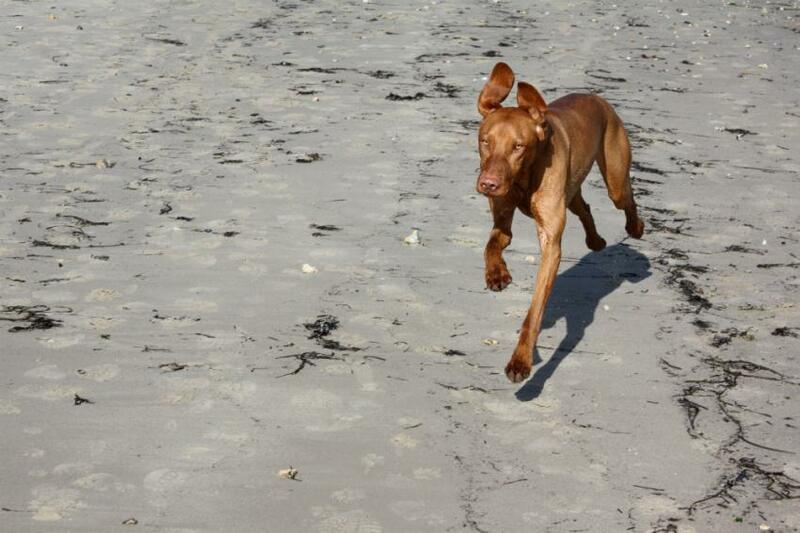 The breed is characterised by a lean, medium-sized build, with a tapering muzzle and large 'drop' ears. 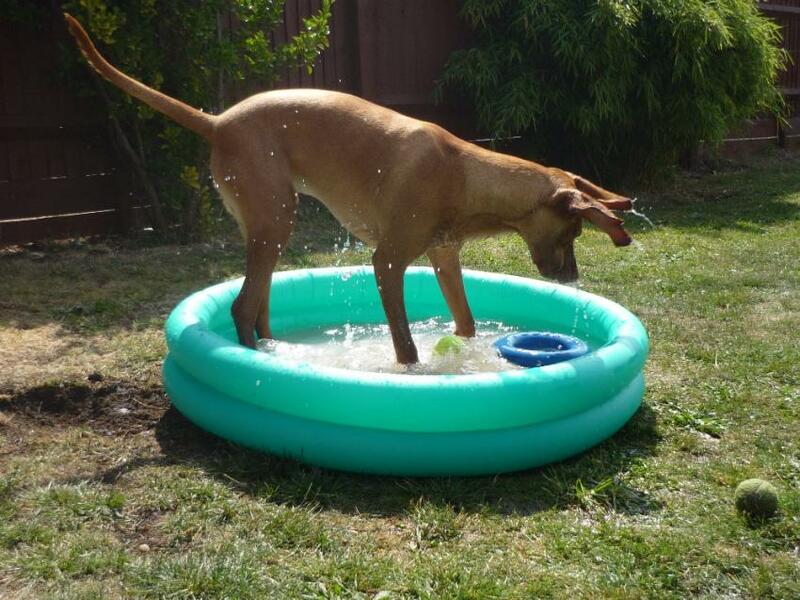 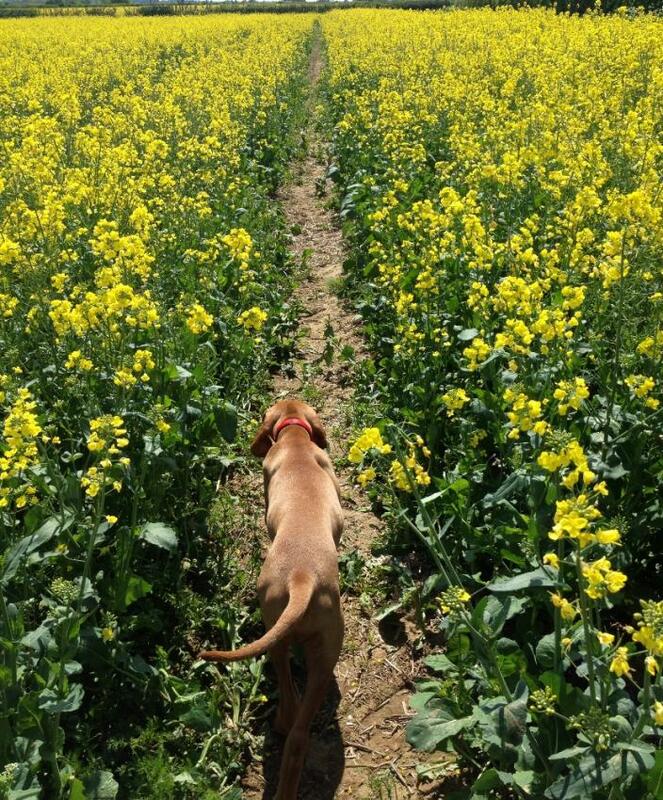 Despite being an illegal practice in most countries across Europe, the process of tail 'docking' is often undertaken with the breed, although such is not a breed standard. 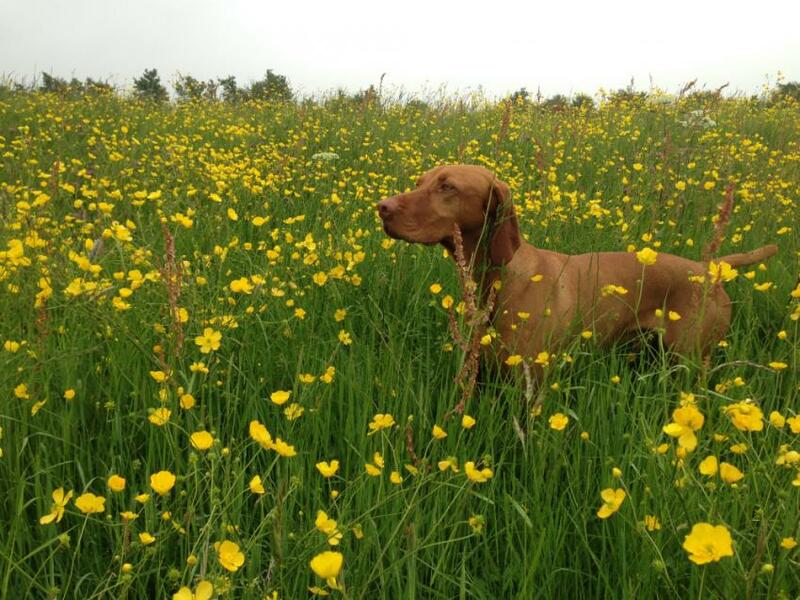 Common in all-over colour variations of tan and rusty-gold, the Vizsla needed to be disguised by the tall grassland and cornfield plains when scenting and searching out game birds. 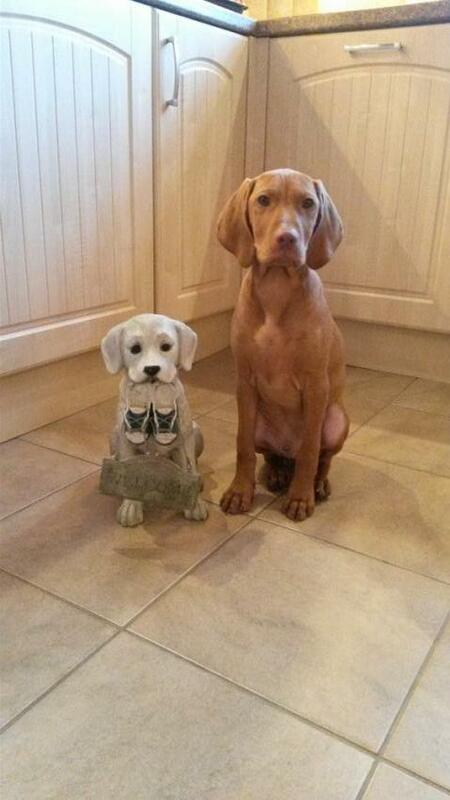 Its natural colouring may have aided this. 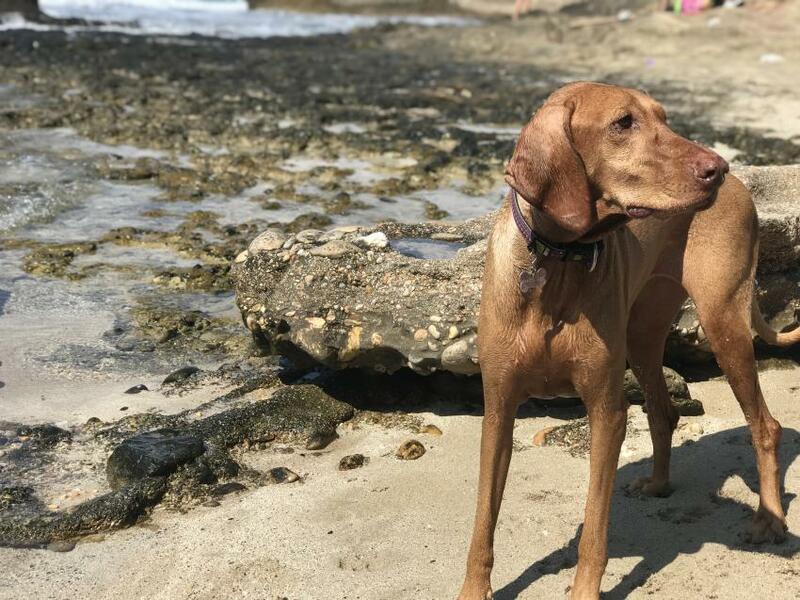 Possessing keen senses, vigilance and agility, the Vizsla was capable of enduring long periods of coursing and hunting; the modern breed retains these qualities, remaining highly active and determined, often to the point of boisterous and stubborn. 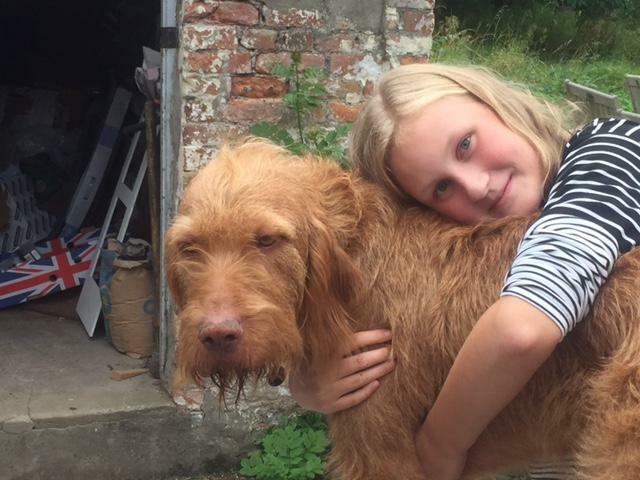 Such traits require careful management and firm leadership from an early age. 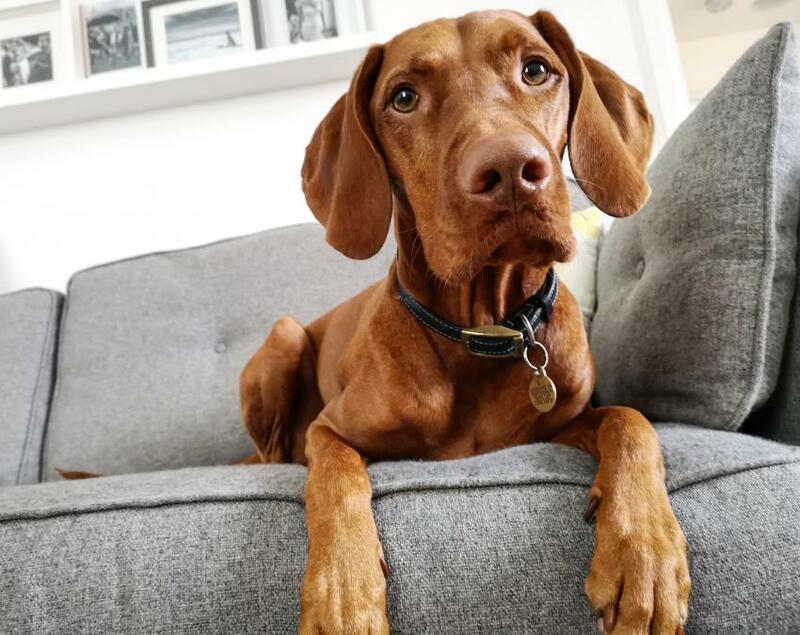 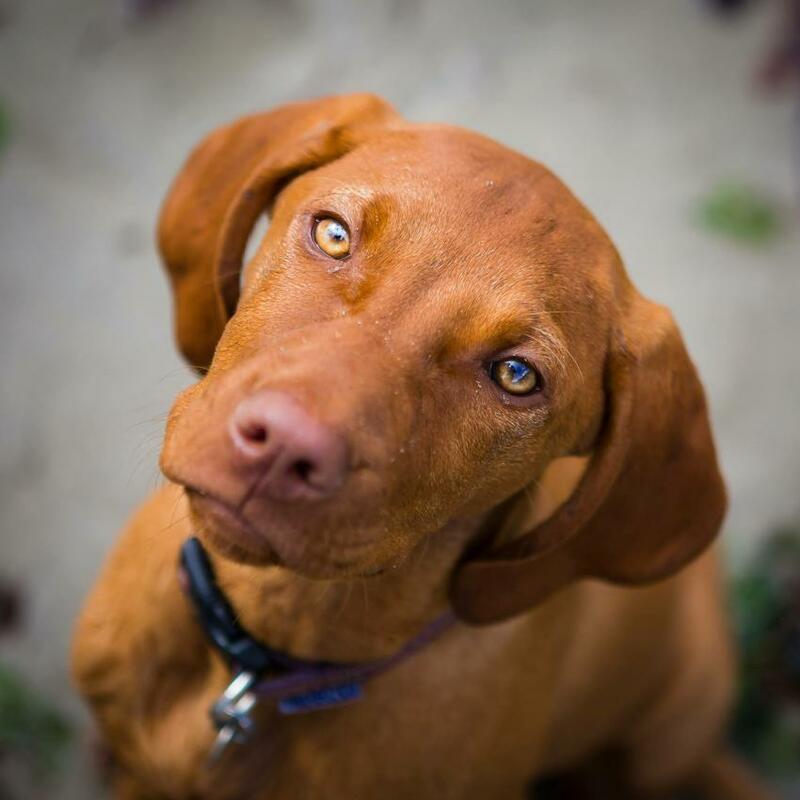 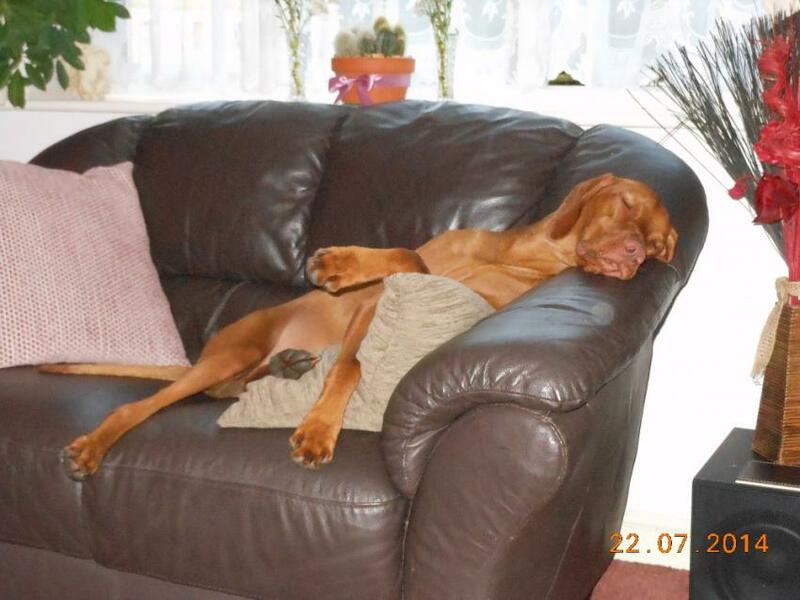 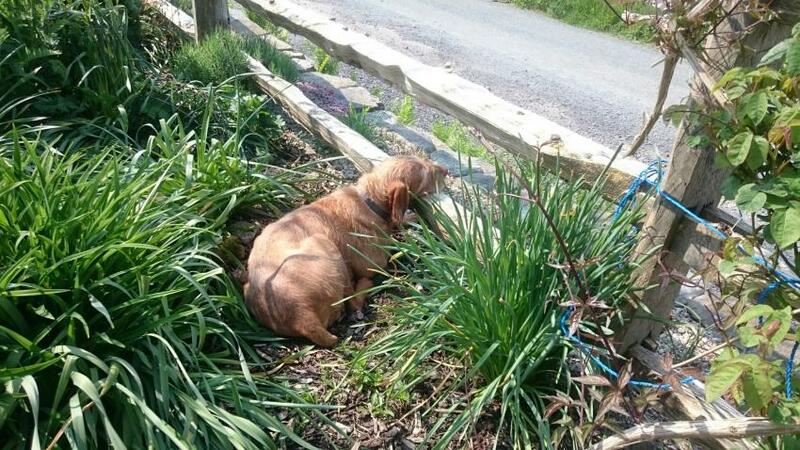 Despite this, the Hungarian Vizsla is highly trainable, loyal and affectionate, making the ideal house dog for families or a dedicated sole owner. 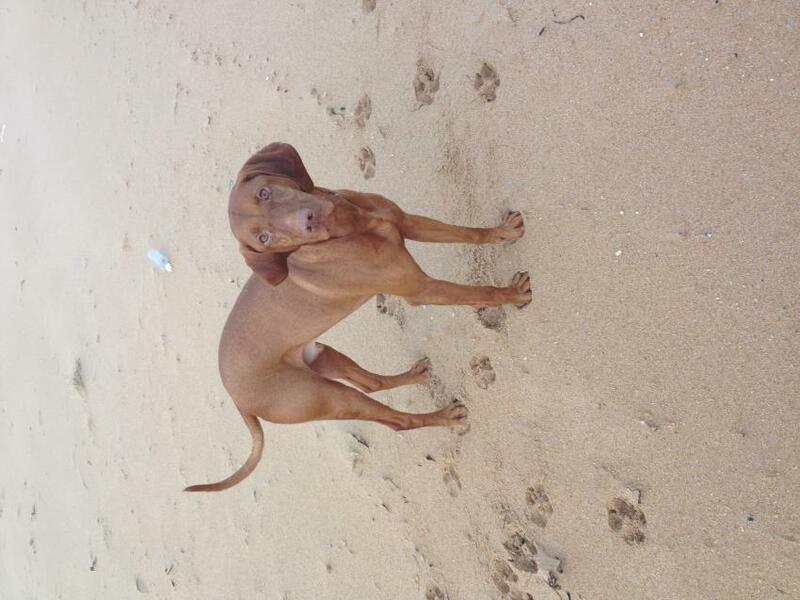 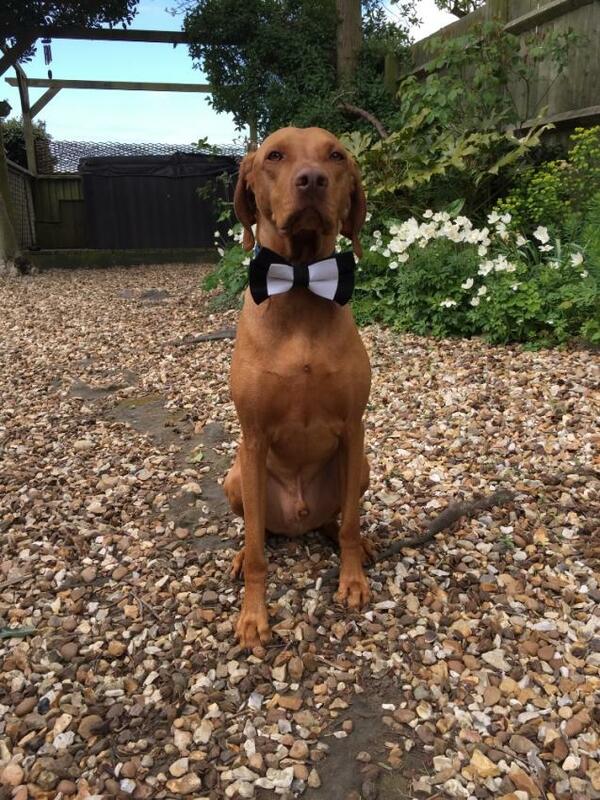 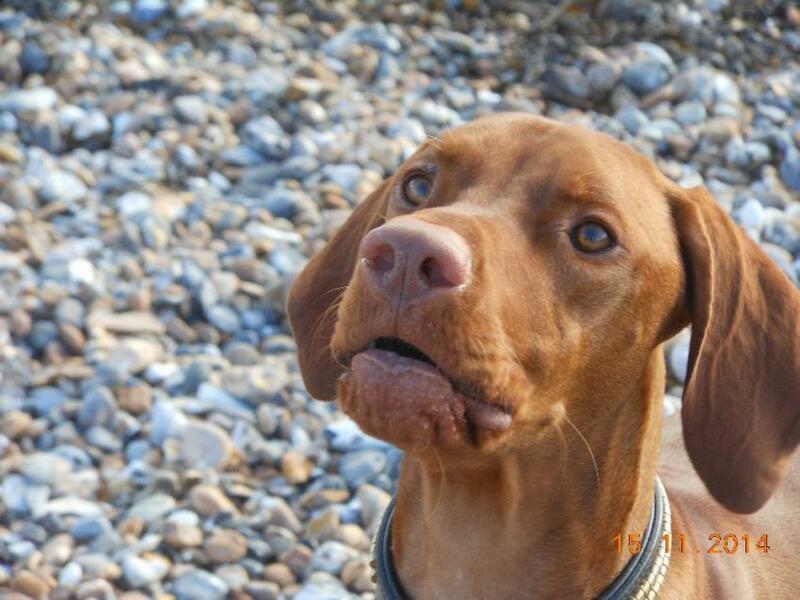 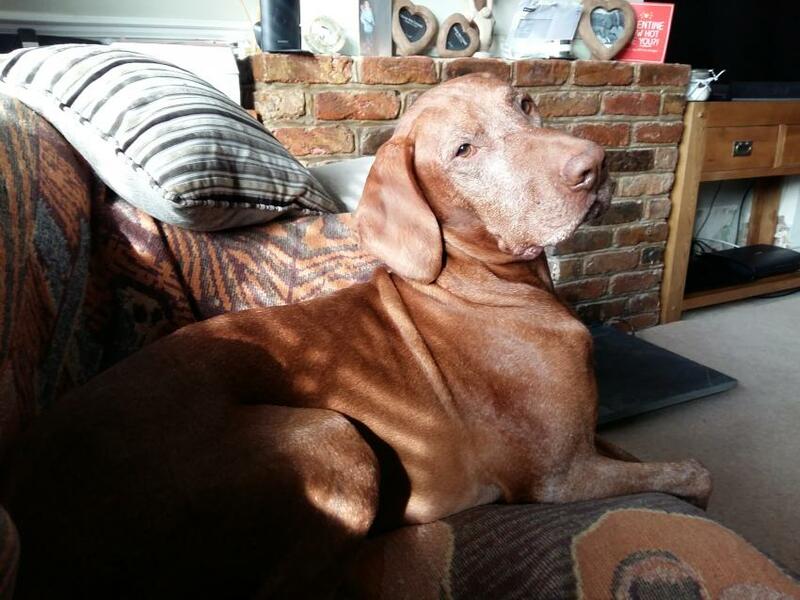 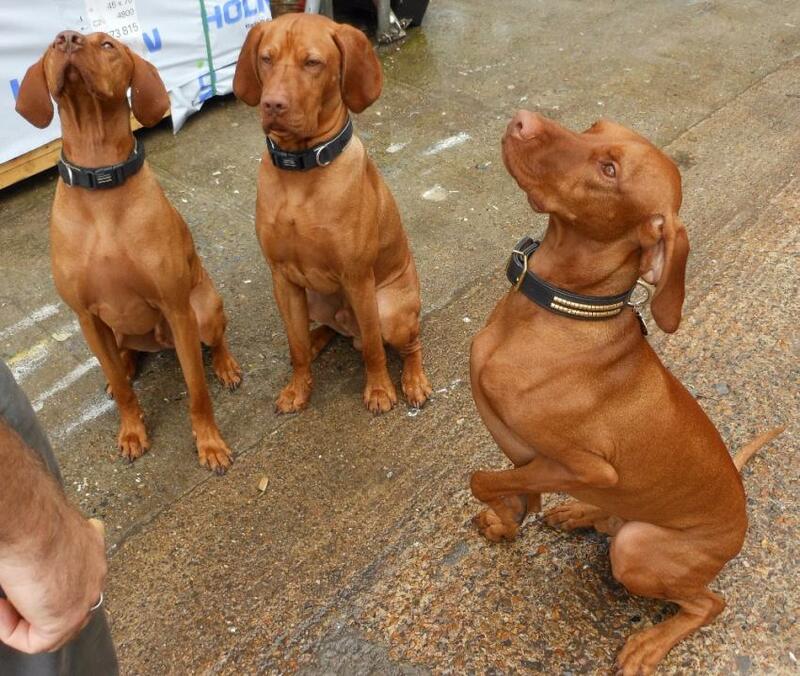 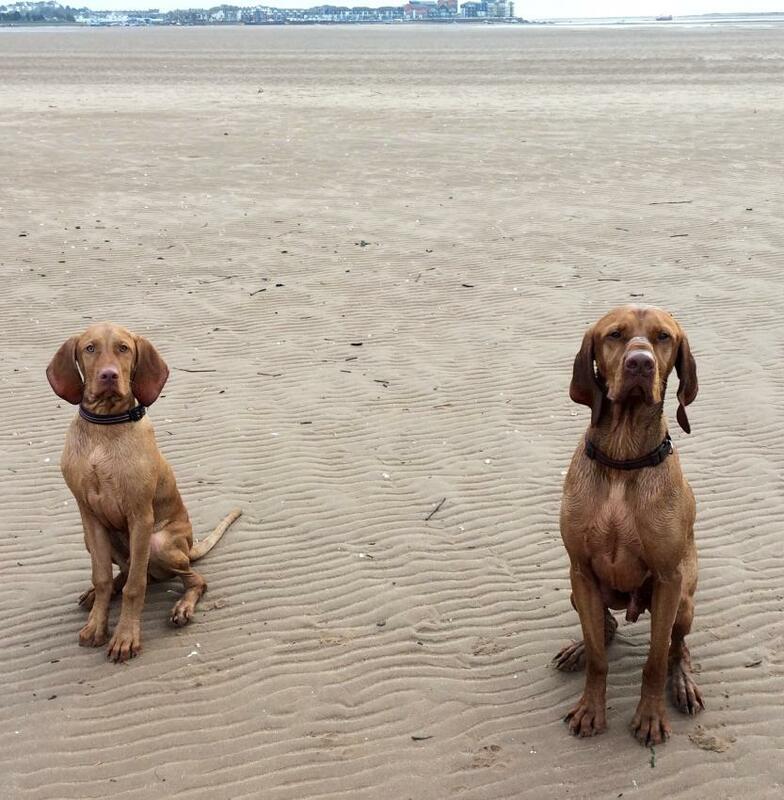 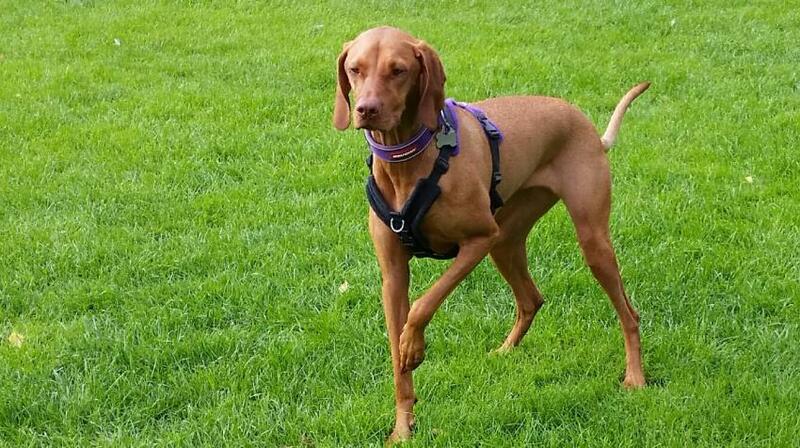 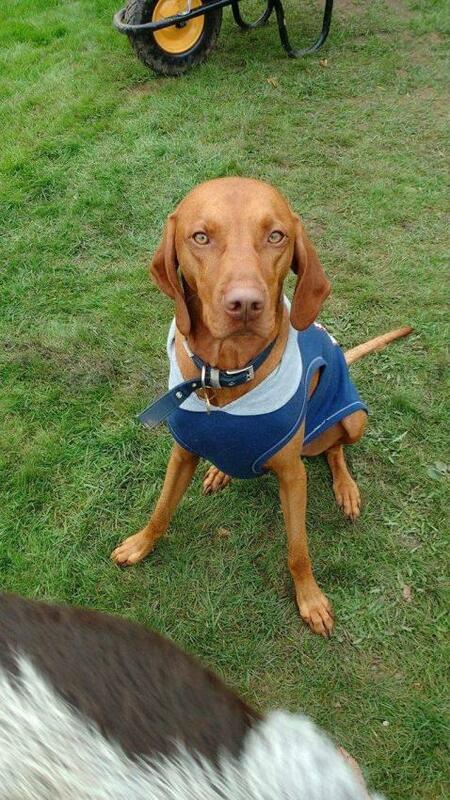 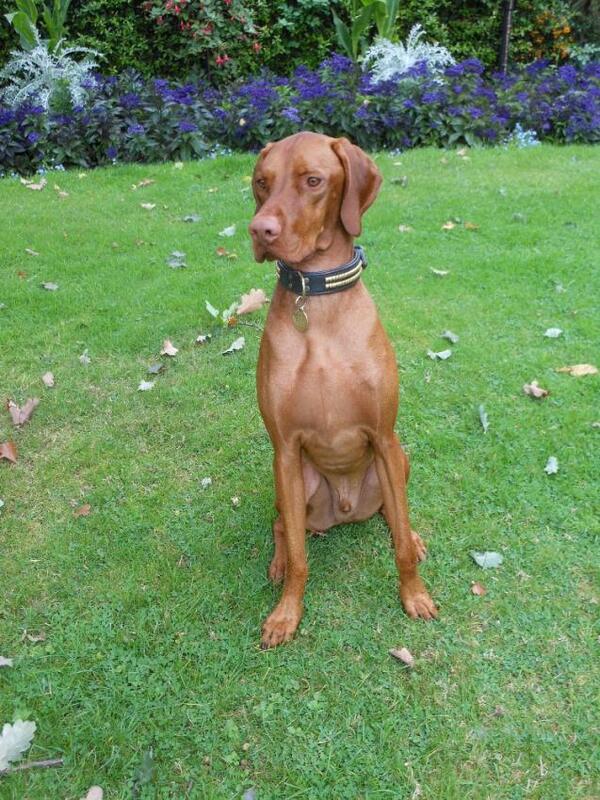 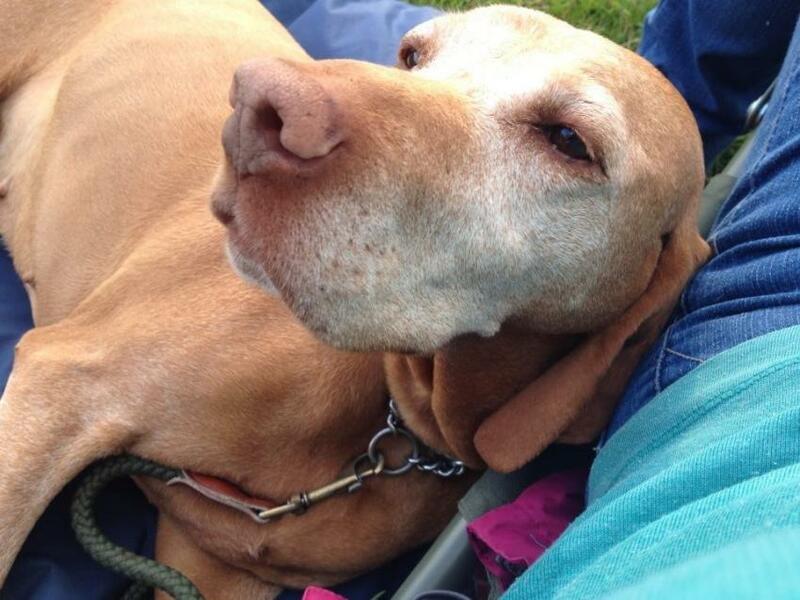 The Vizsla weighs an average of 20-30 kg, with a life expectancy of 10-12 years when shown the appropriate care. 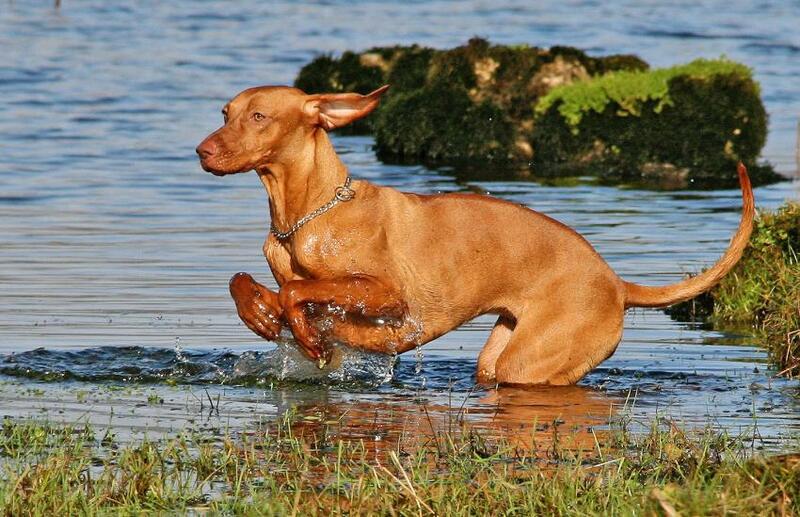 Typically healthy, the Vizsla is prone to hip dysplasia along with most other breeds. 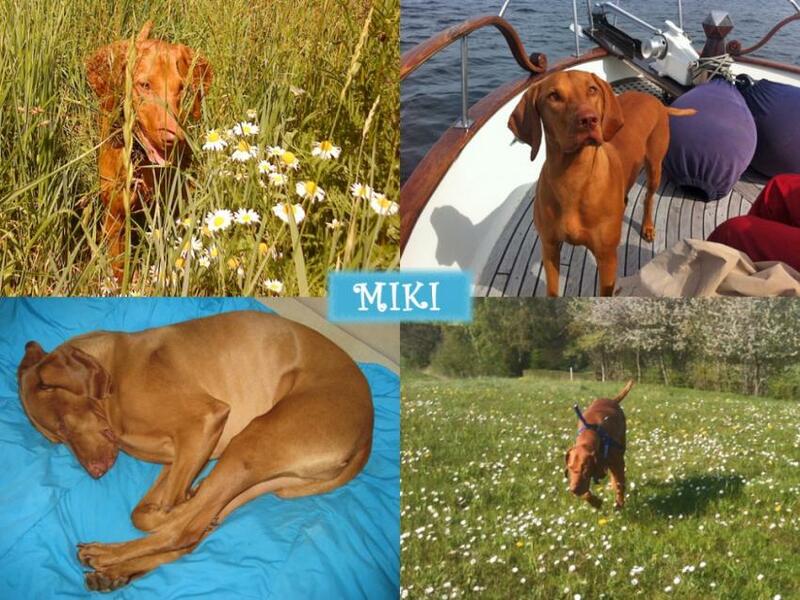 No known genetic or breed-specific diseases are documented for the breed. 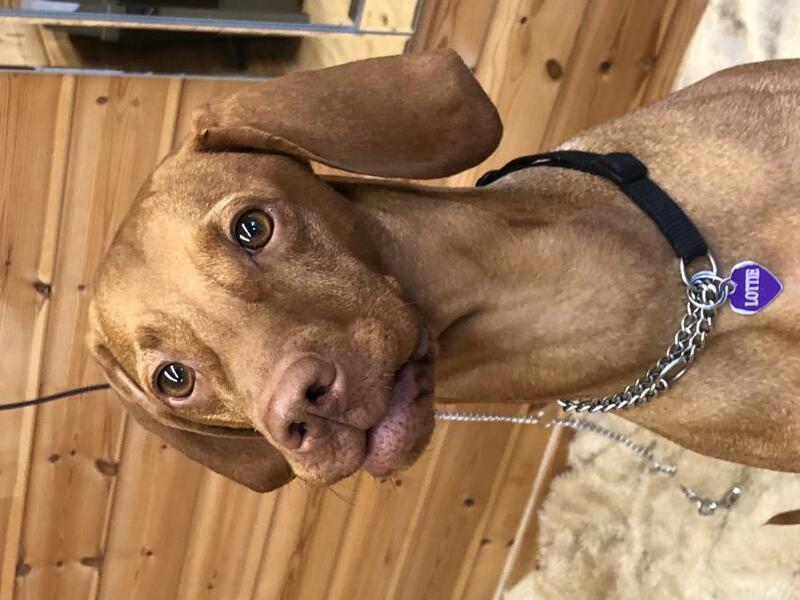 Vizsla lab cross. 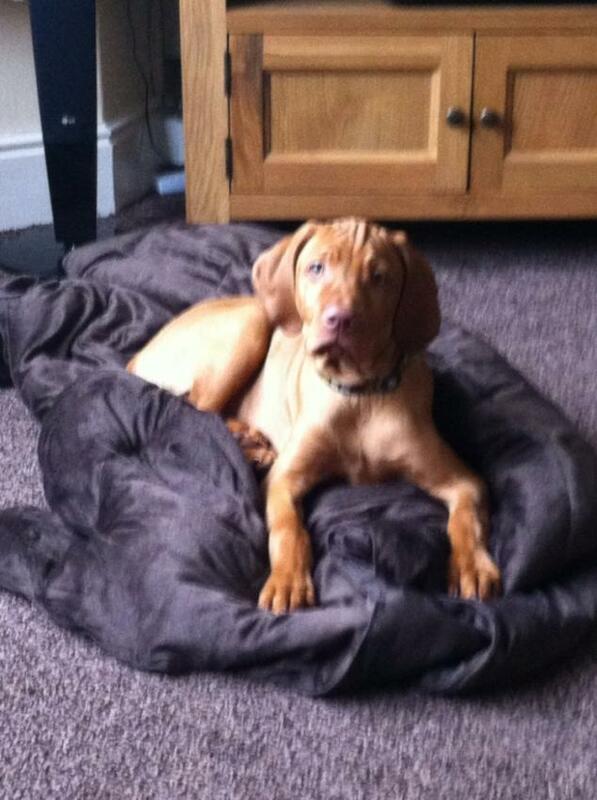 Gorgeous dog. 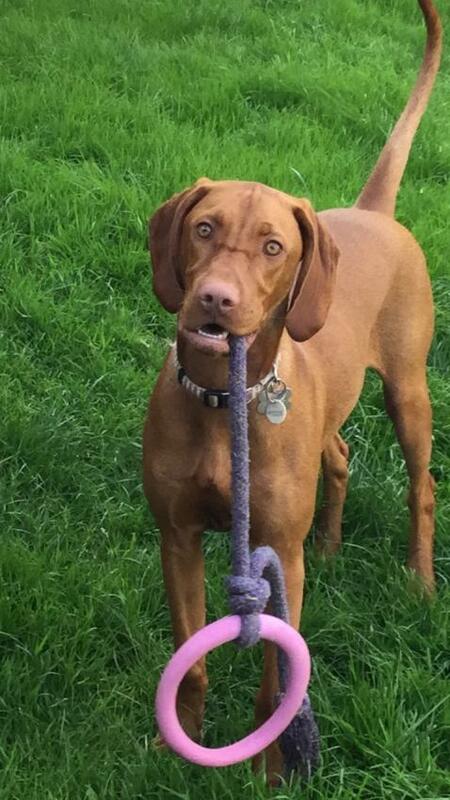 Naughty but playful. 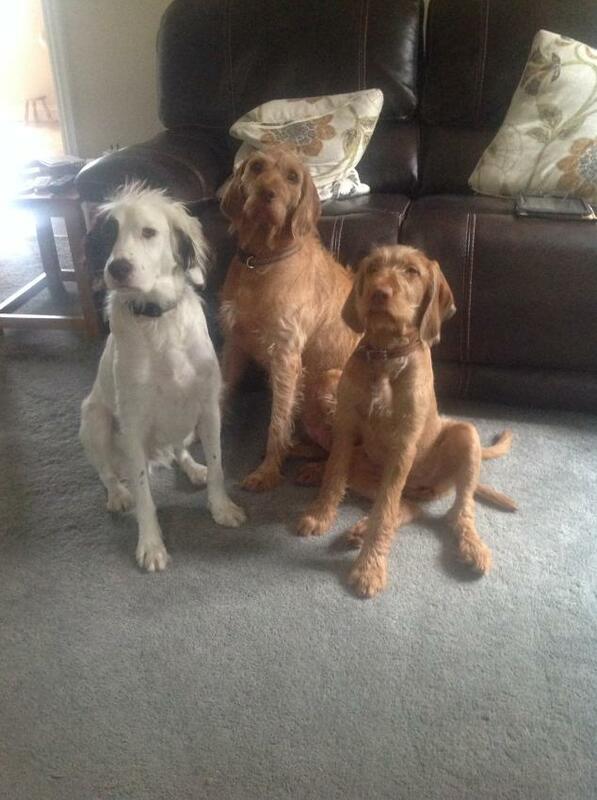 Very loyal. 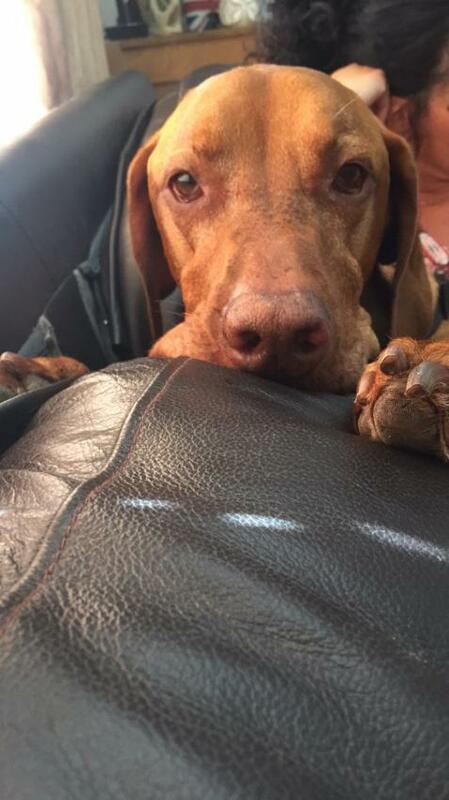 Wouldn’t be without him. 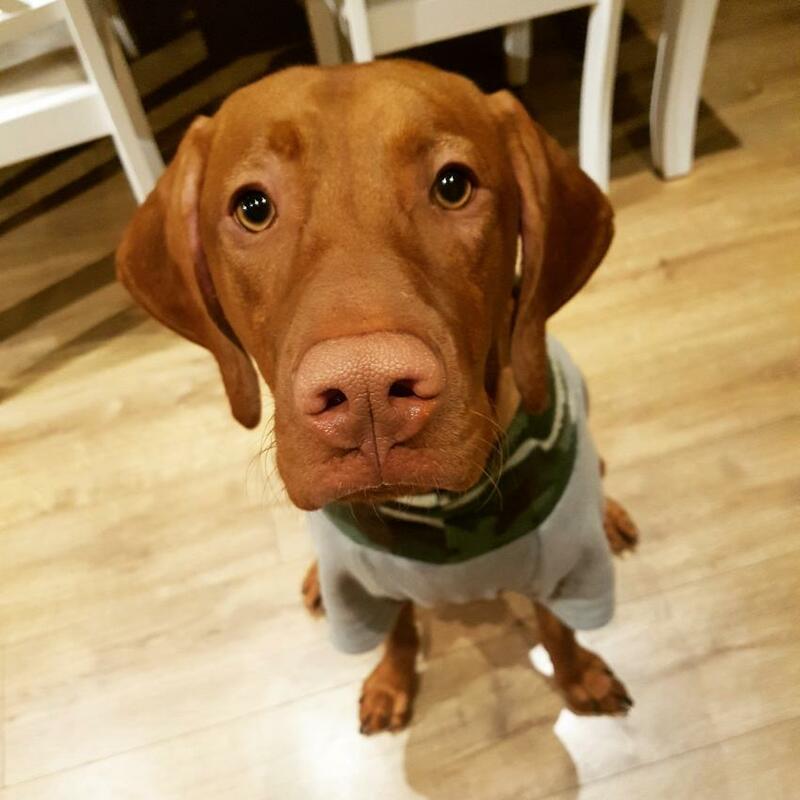 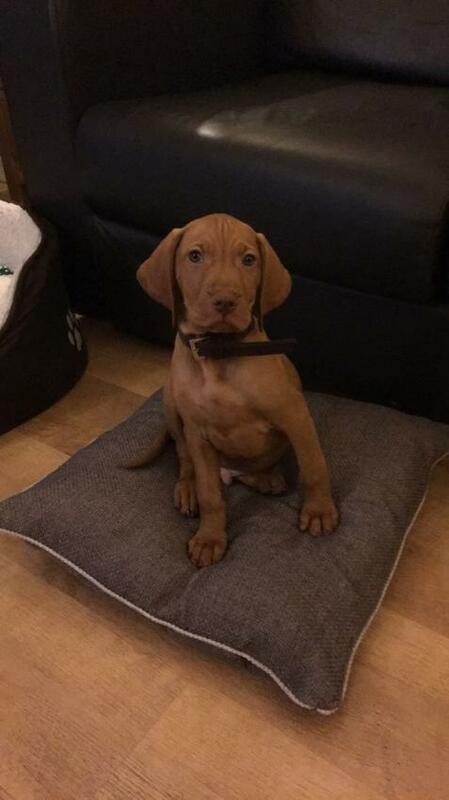 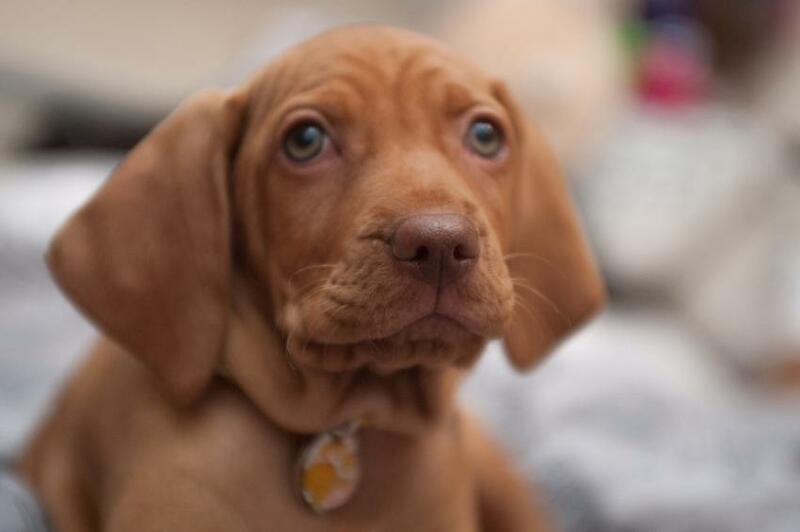 Luna our first Vizsla , she's everything that we read about, we couldn't imagine life without her, she has made our life complete. 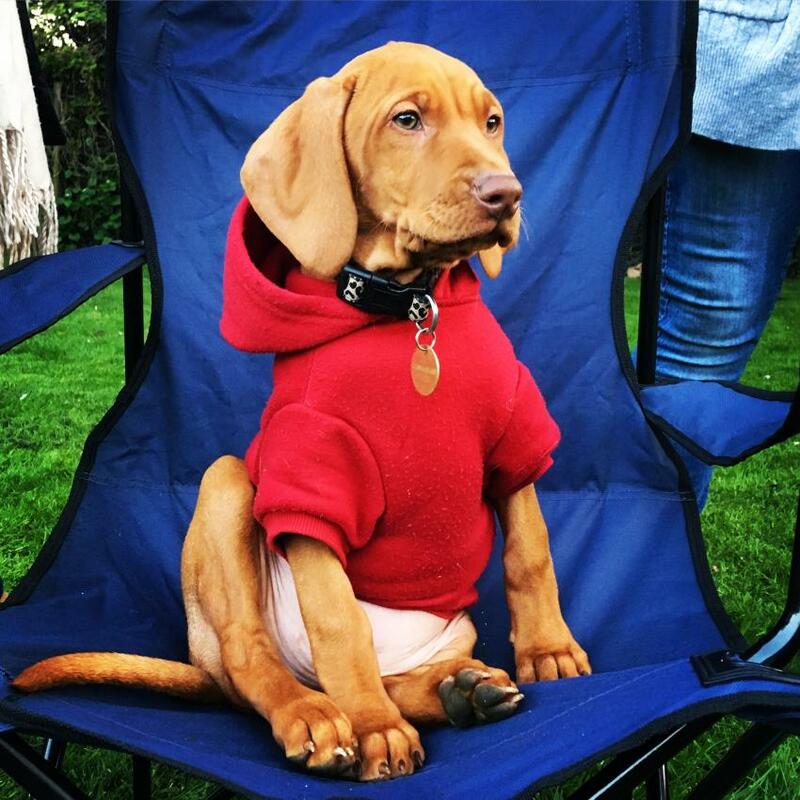 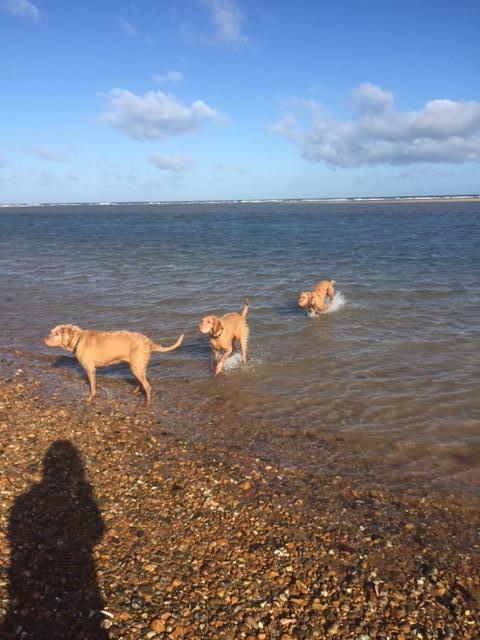 we had good advise beforehand, socialising is a must, puppy training, if you want to have a good relationship, as you and your dog learn together. 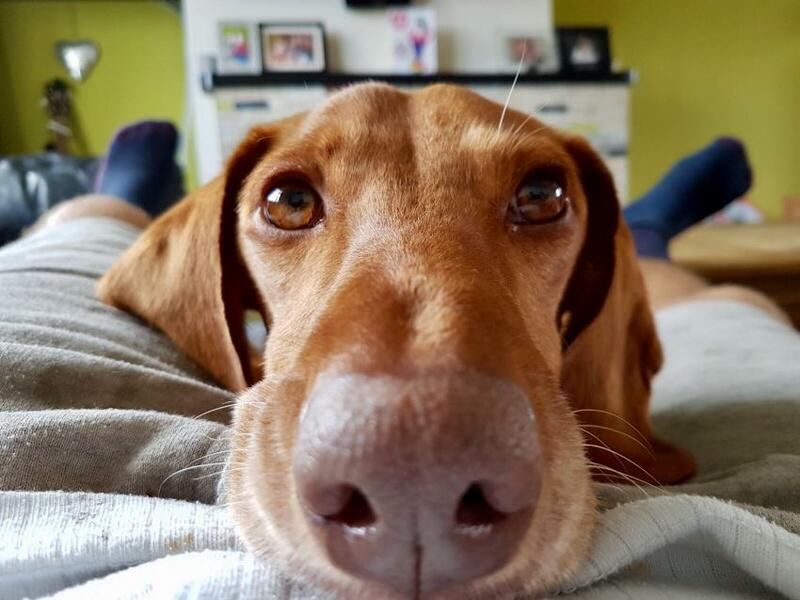 we had a crate for the first year, which was good for her health and well being. 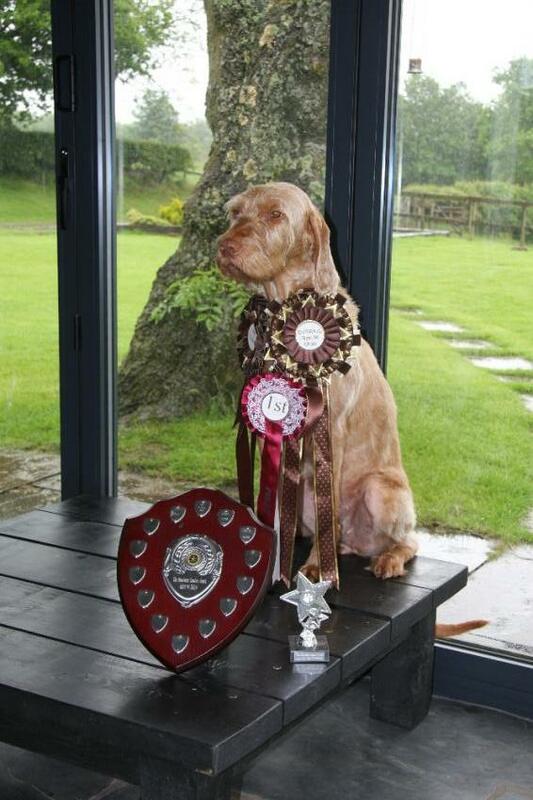 As the saying goes ,you reap what you sow !! 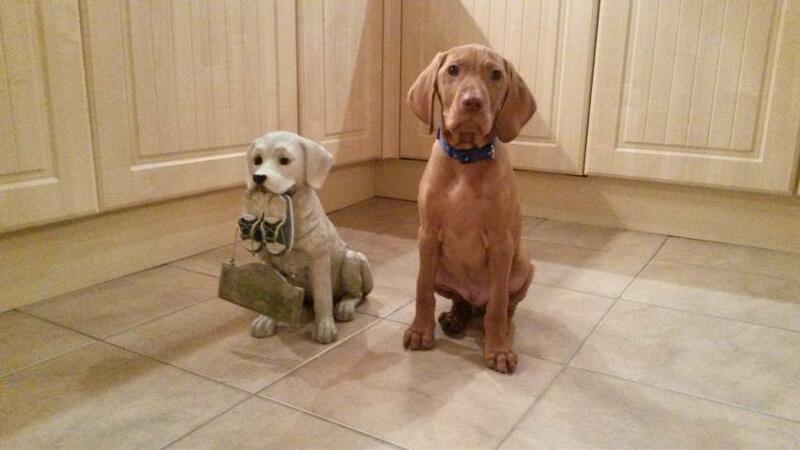 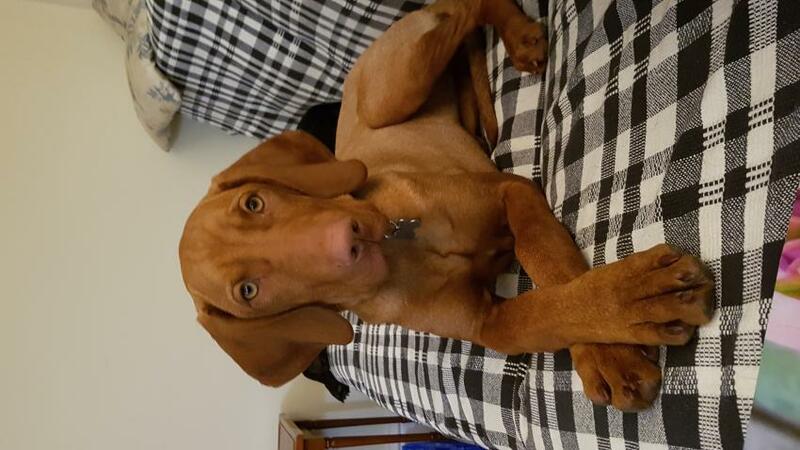 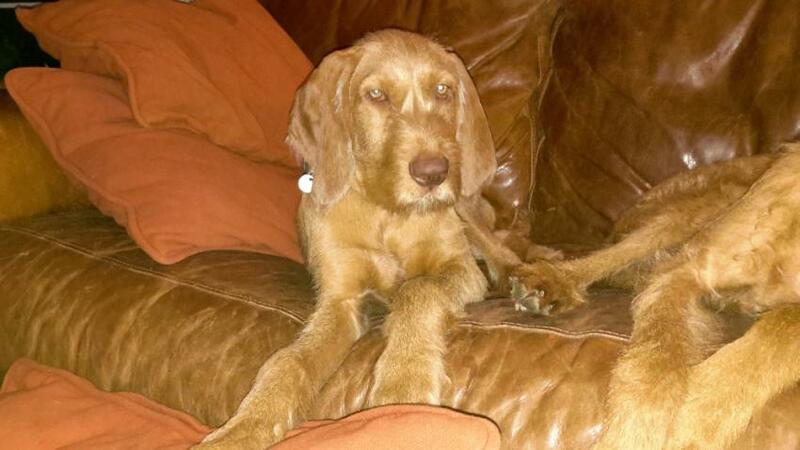 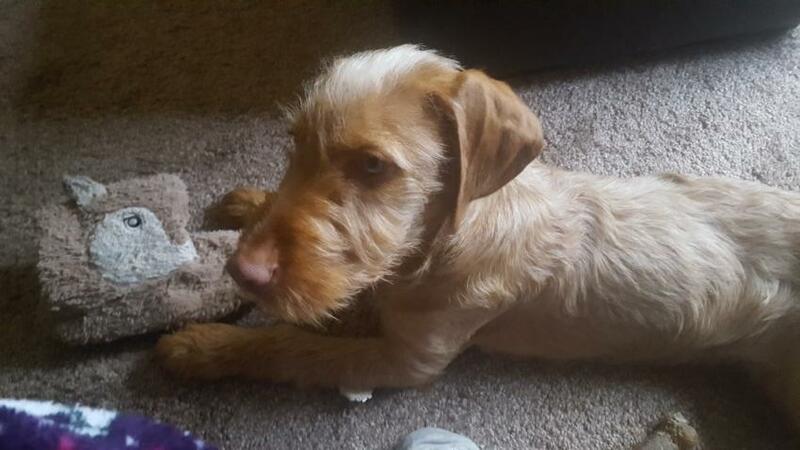 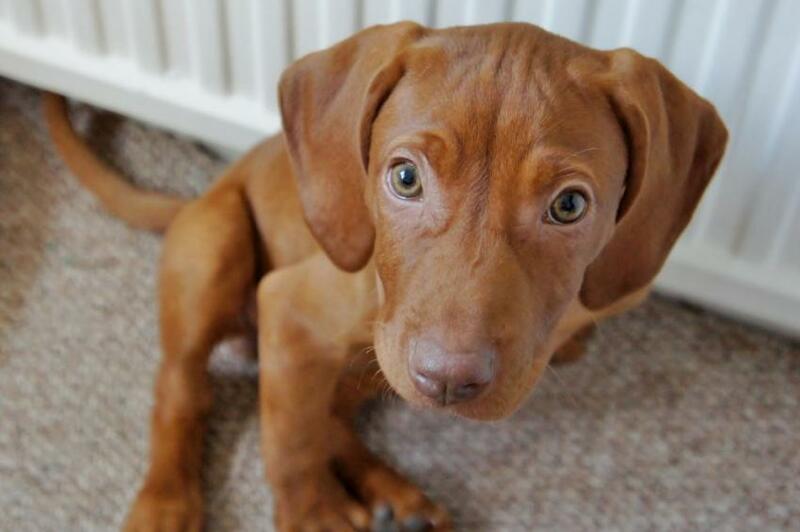 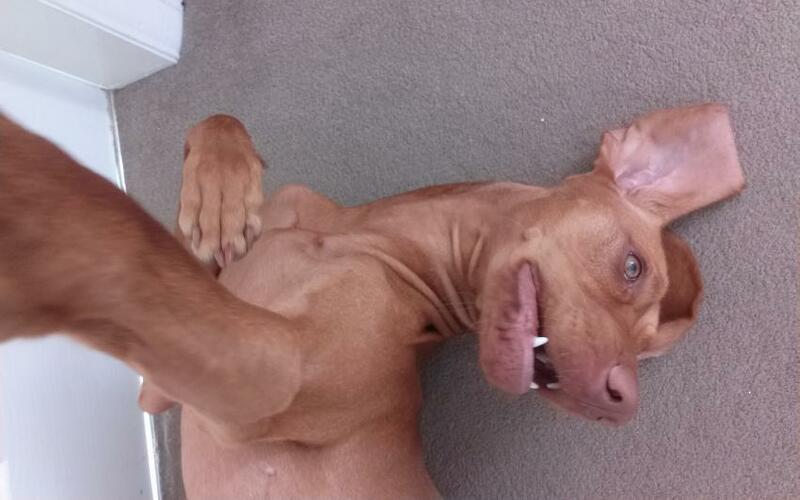 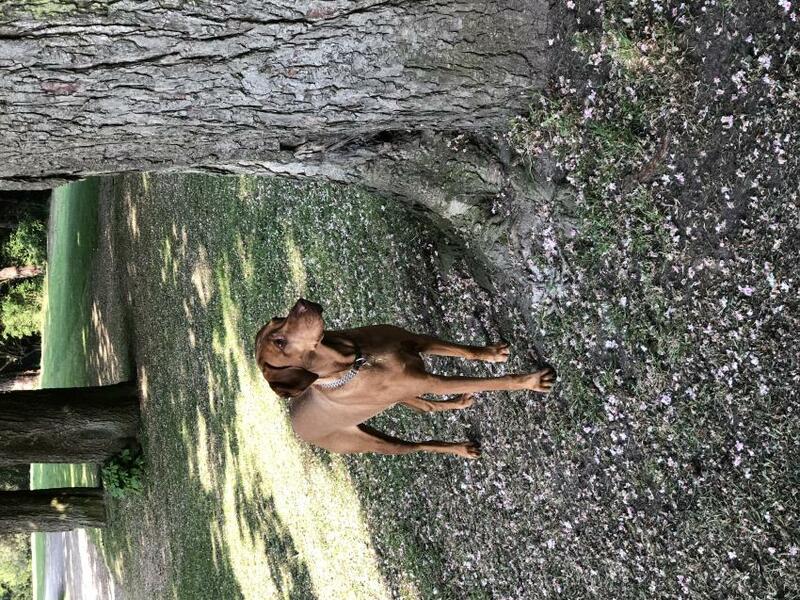 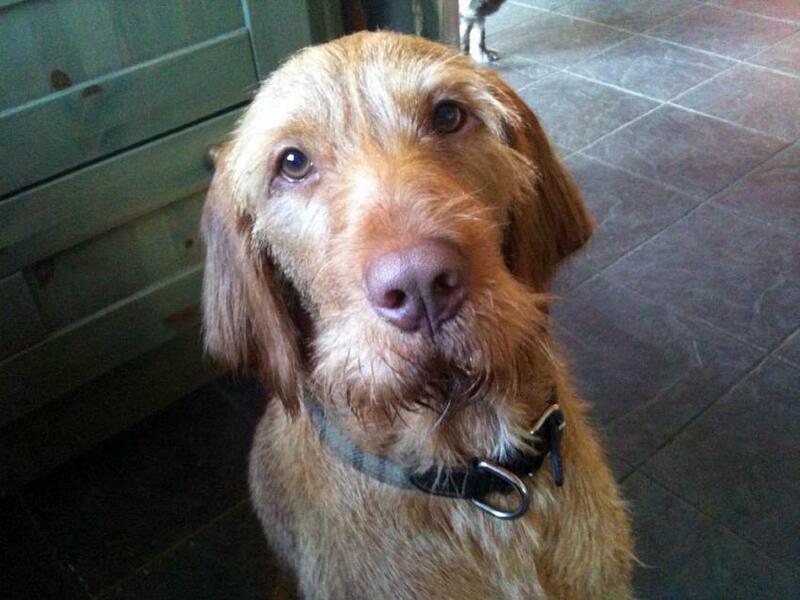 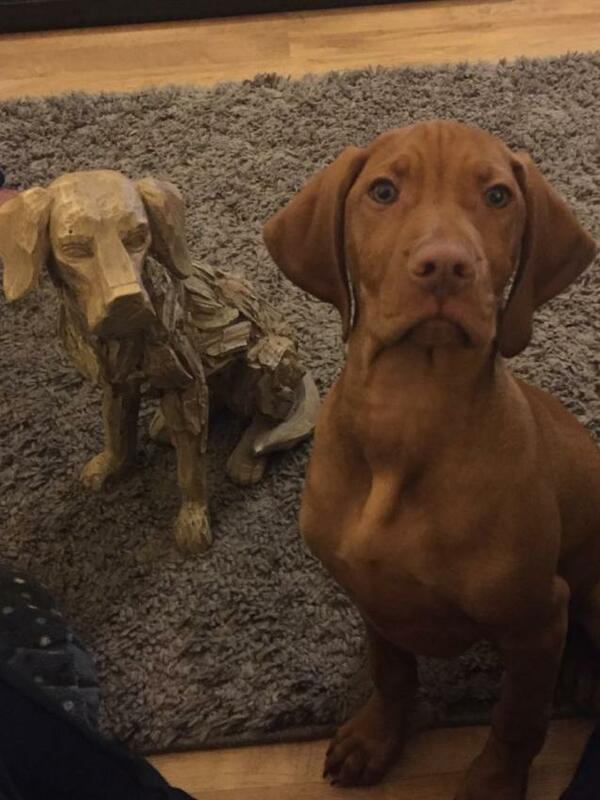 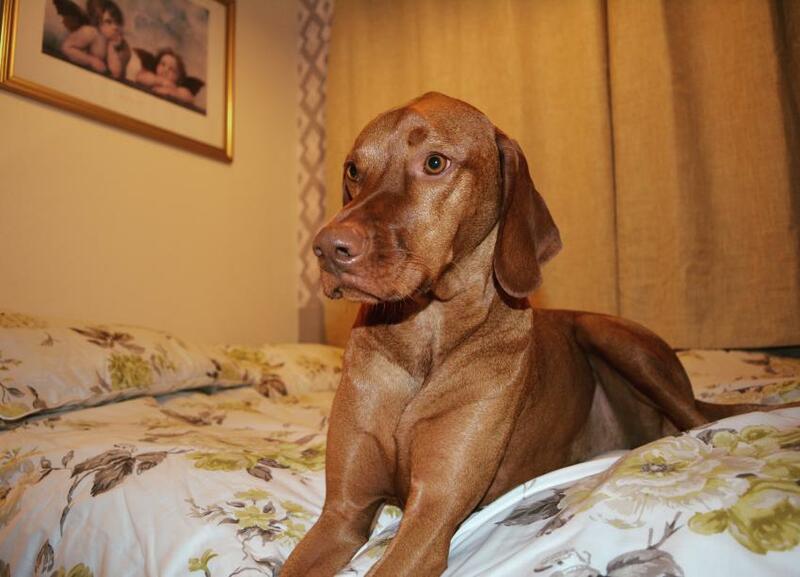 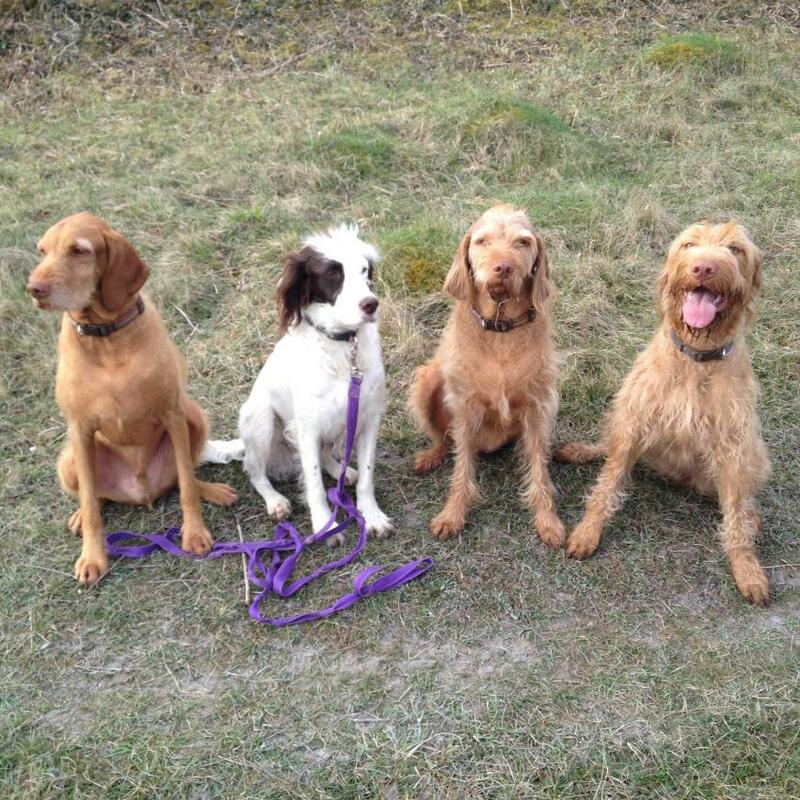 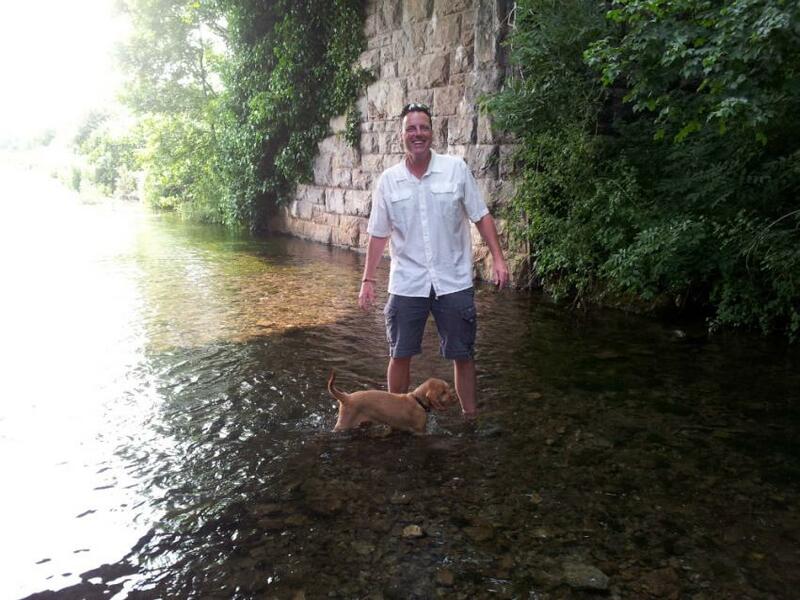 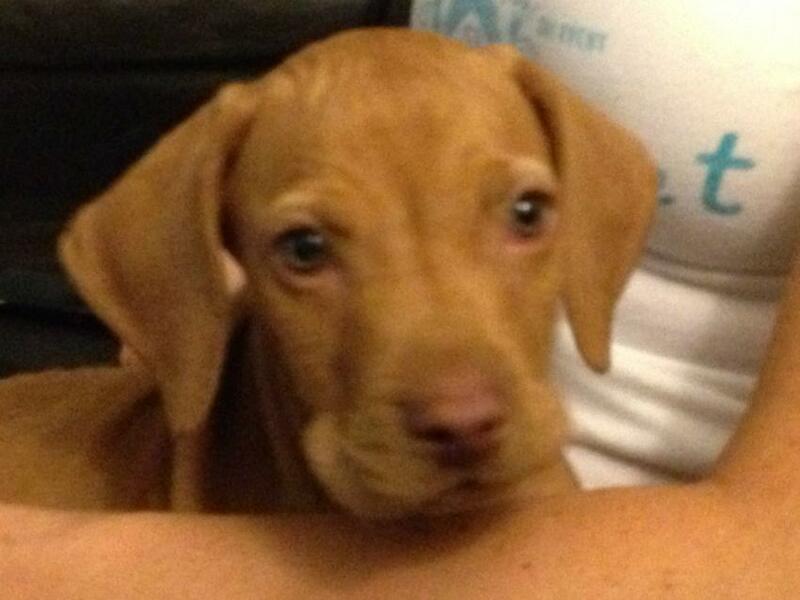 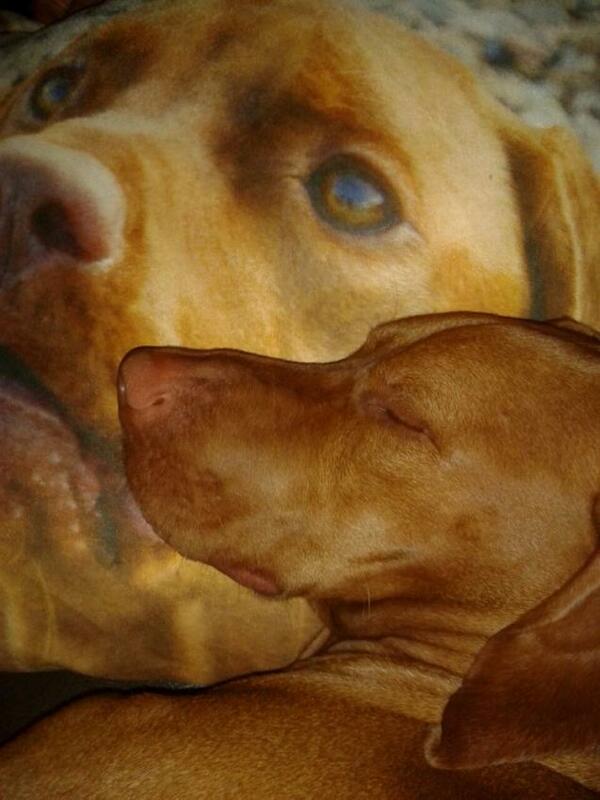 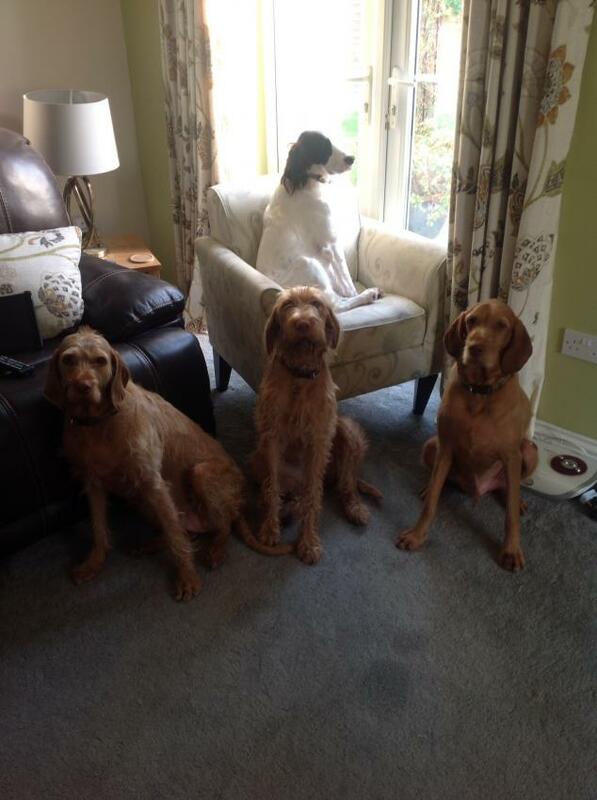 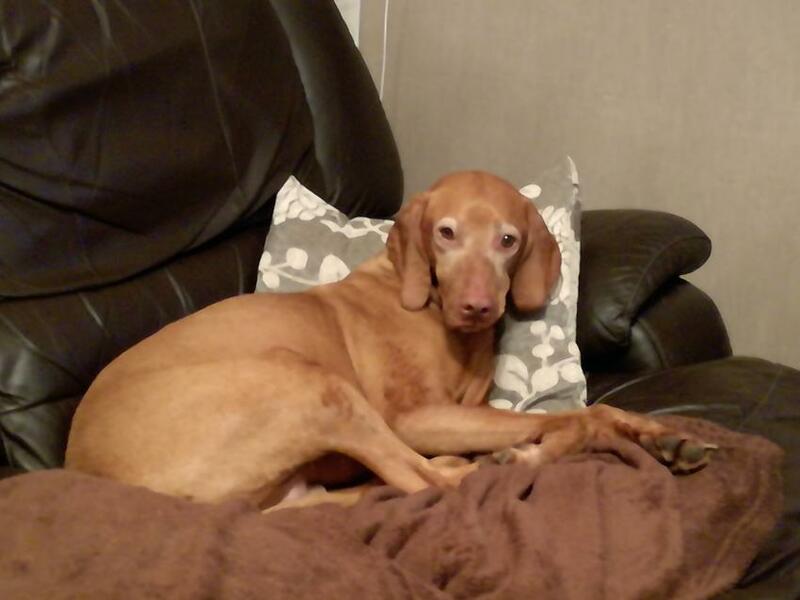 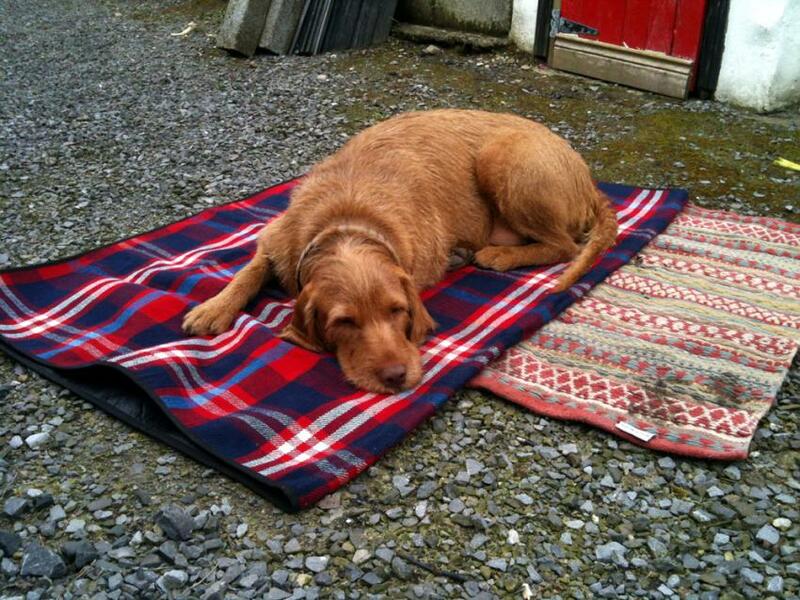 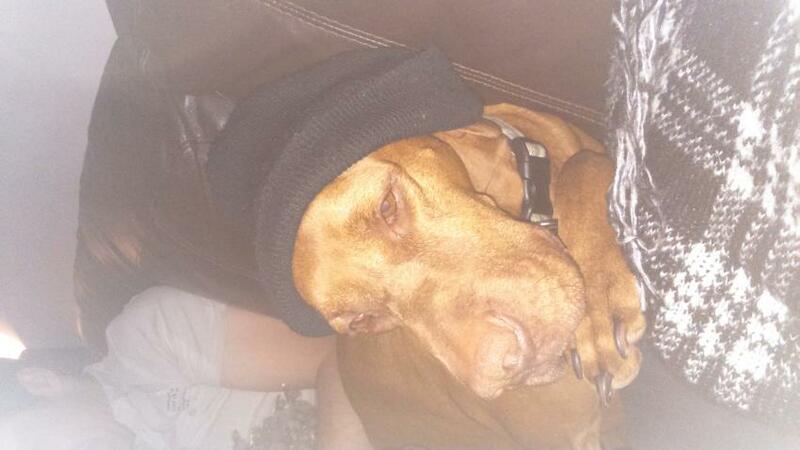 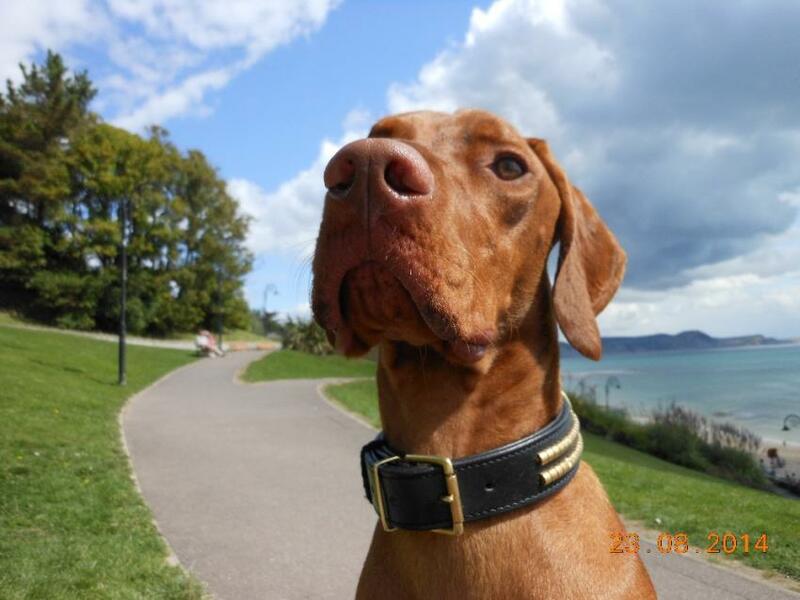 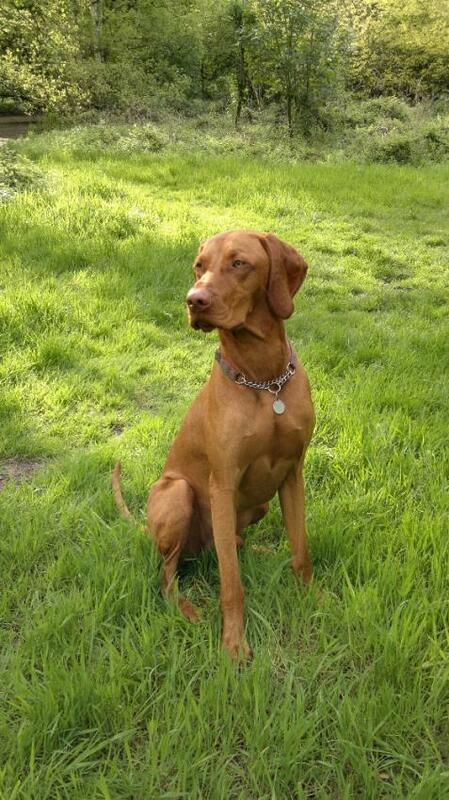 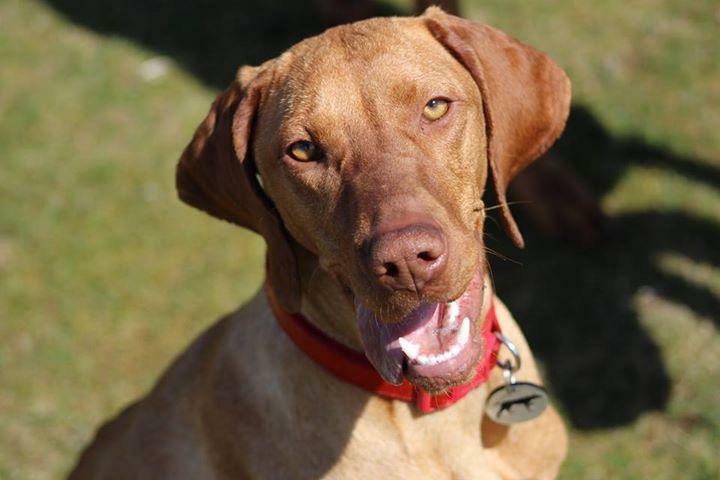 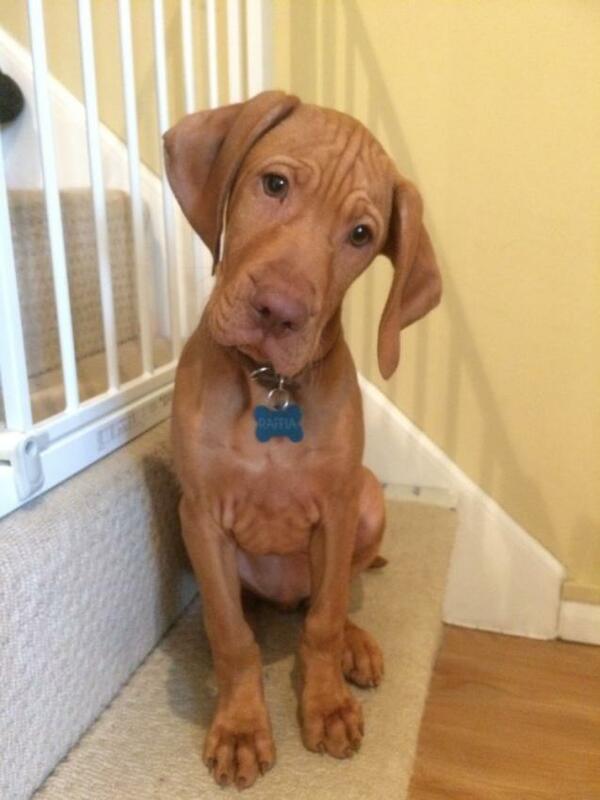 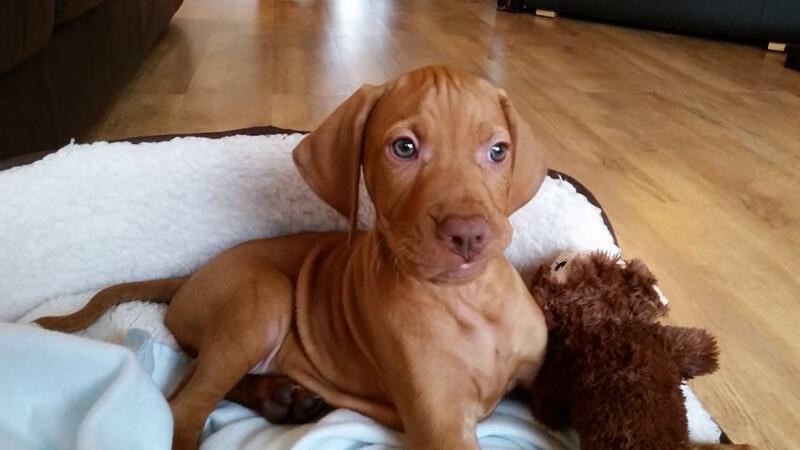 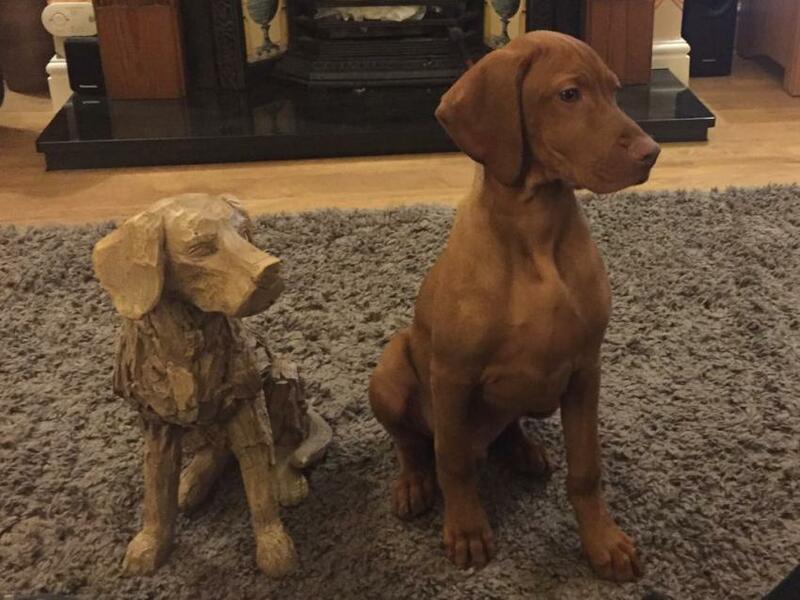 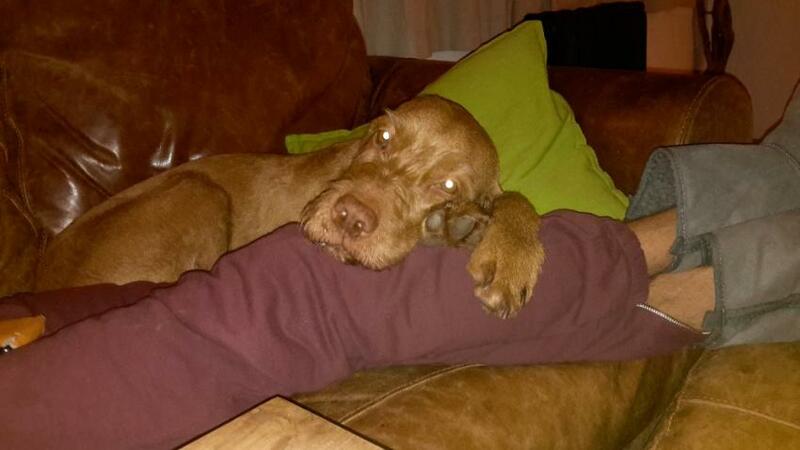 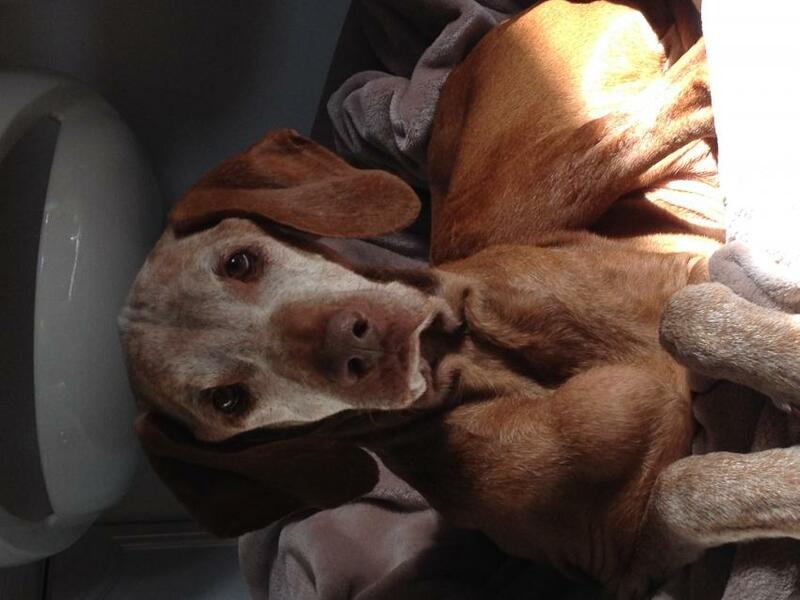 Do you own a Hungarian Vizsla? 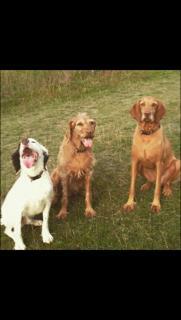 Let others know what they're like!